I must agree. I listened to this for the first time on a drive up the Angeles Crest Highway a few weeks ago. A storm was blowing in over the scortched but greening hills. 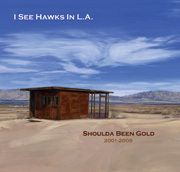 Again, the Hawks made me feel at once at home and transported to a new and fascinating place. Best of two thousand ten… definitely.